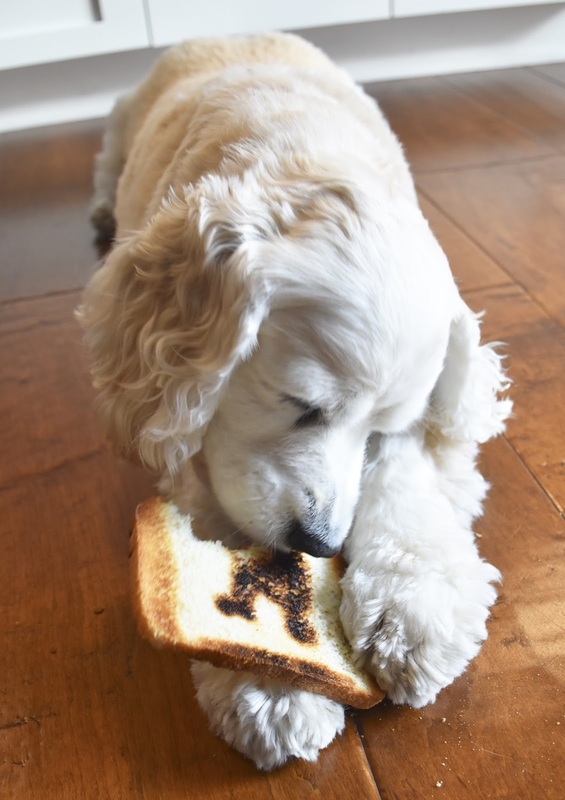 A few years ago, Annie thought that a New Year's Toast was actual toast. So ever since then, we make toast for the New Year. 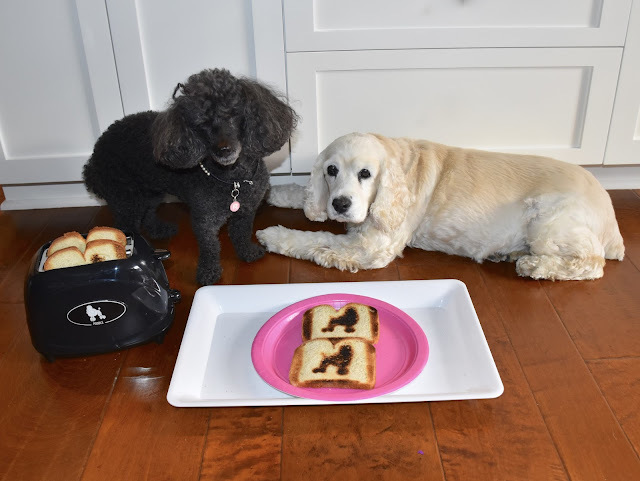 But this year we are toasting the New Year with Poodle Toast! I just love toast! 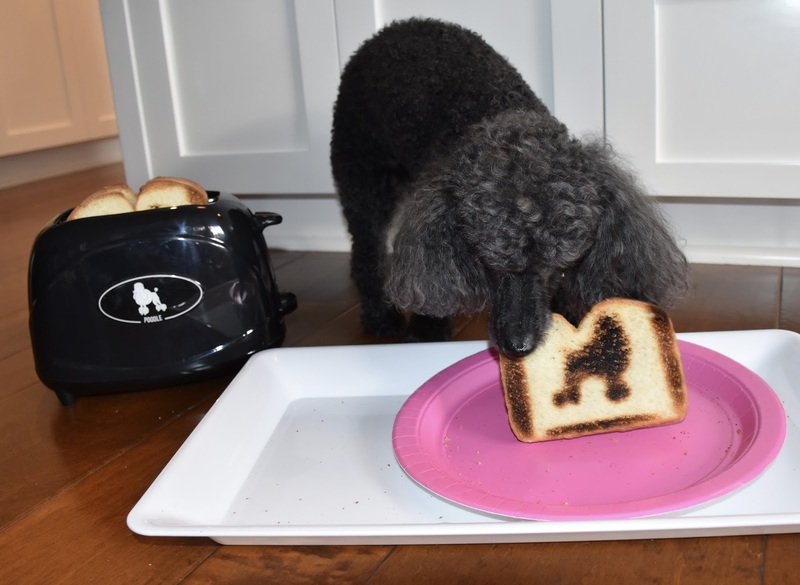 I am very careful to eat around the perfectly fab poodle silhouette. Annie on the other paw went right for the poodle head! Ahhhh! Oh yes! Siberian Toast would be fab too! RosyPoodleKisses! Yes! New Years was the perfect occasion! Annie loved the toast! RosyPoodleKisses! OMC! We must have a toast to whoever thought of this idea. You even have a special pink plate. AND your toaster makes FOUR slices at once so Mommy & Daddy don't have to wait to join in. What a couple of lucky pups you are! Wishes for everything fab to all of you in the New Year! RosyPoodleKisses x8+3! Annie, that's like biting the nose off your Easter bunny!